South Coast Restoration provides top-quality professional construction services for commercial entities. No matter your specific commercial construction project needs in Orange County, we at South Coast Restoration will deliver reliable, high quality, and professional solutions, and all in a timely and budget-fitting manner. We at South Coast Restoration have a commitment to ensuring complete customer satisfaction. No matter your commercial construction project requirements, our team consisting of highly-skilled, experienced, licensed, and insured professionals will complete the project efficiently and in a manner that will meet and likely exceed expectations. This commitment to our customers and to top-quality workmanship has bolstered our reputation for being the best company to call whenever there is a commercial construction or remodeling project requirement in Southern California. We proudly offer a range of professional commercial construction and remodeling services on top of our signature restoration solutions. 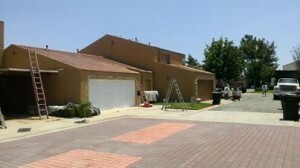 Whether you own a business in Orange County, represent a property management company or real estate entity in Los Angeles County, or perhaps manage another commercial enterprise somewhere in the Inland Empire and require reliable and budget-fitting commercial construction services, we at South Coast Restoration can be counted on to complete your project in the highest quality and most professional manner possible. Learn more about our professional services or speak with us today about your commercial construction needs by calling 1-800-992-4493. When reliable, professional, and cost-effective commercial construction services Orange County assistance is needed, the right decision to make is to contact South Coast Restoration, Inc. As a member of the Orange County Building Industry Association (BIA), we can be counted on for high quality work no matter the specific construction requirement. At South Coast Restoration, Inc. we proudly offer commercial construction services Orange County assistance. We have a range of construction capabilities including paint and drywall, doors and windows, roofing, lathe and stucco, floor coverings, custom tile, and more. No matter the specific Orange County commercial construction requirement, we at South Coast Restoration, Inc. have proven time and again that we will get the job done right, done efficiently, done cost-effectively, and done on time. Plus, we have a commitment to excellence and strive to deliver professional construction services which simply go above and beyond what the competition offers. When high quality and competitively-priced construction services Orange County assistance is required, commercial entities will be able to count on South Coast Restoration, Inc. If you’d like to speak with us about our professional Orange County construction solutions, then please contact us directly by phone at 800-992-4493. Apart from offering high quality construction services, we also proudly offer professional restoration and cleaning services Orange County solutions. Feel free to learn more about our range of quality services today by browsing through our website.